For a 24 hr locksmith at a reasonable price, NORTH LONDON LOCKSMITHS Ltd. is a must. Have you heard the nightmare stories? "Called out a Locksmith last night, quoted me £49.00, took ages to do the job and then put hidden costs on top of the price". WE DO NOT DO THAT!!! We offer a fair priced service without any hidden charges. 020 8800 6041 24 HOUR SERVICE. Looking for a 24 hr locksmith that will not charge you over the top prices? Which offers repairs to locks, doors and frames, and can also repair UPVC door locks. Locked out and no money with you, but have your credit card details? Don't worry!!!!! help is at hand. Don't despair if you are on a mobile device, call by linking on the below number. When dealing with your HOME SECURITY, it makes sense to use a local Company who are established and have a permanent home base, as well as being Company Members of a recognised association such as the Master Locksmith Association. Our Security Company is a North London Company covering all this criteria. Our Company have been established at the same address for more than 35 years, serving the London community with our Security skills, we are a registered company and are used by Insurance Companies, Police Forces, Housing Associations, Local Councils, plus domestic householders. In the time we have been established, we have undertaken many thousands of jobs and have become known as the Number "ONE" Lock Opening Service of our area. MANY OTHER COMPANIES USE OUR NAME BUT! WE ARE THE ONE AND ONLY NORTH LONDON LOCKSMITHS LTD.
TELEPHONE:- 020 8800 6041 TO CHECK US OUT. NORTH LONDON LOCKSMITHS Ltd. the Master Locksmiths of North London. It is always best to use a well established locksmith company. Our friendly run family company has been established for over 35 years, working from the same premises. 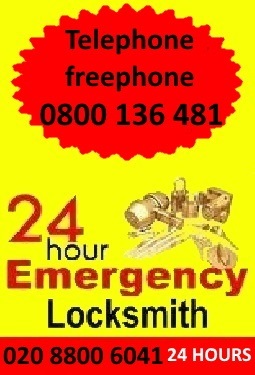 The number "ONE" 24 hr locksmith Service for your area. Our 24 hr locksmith service is available day and night to assist you in an emergency or non emergency capacity....We do not charge sill prices and offer a fast efficient service. TRY US.....YOU WILL NOT BE DISAPPOINTED. *Looking for a 24 hr locksmith company that does not charge over the top rates. *Our day time charges for opening of lock are between £65 - £85 Including VAT (in the North London area). All you pay on top are for any parts at retail prices from our shop. 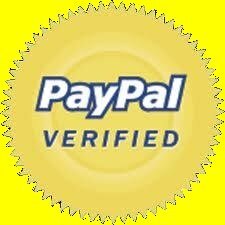 Don't forget our Keys Locks Padlocks WEB SHOP for discounted priced locks. We offer a fast reliable 24 HOUR Locksmith service as well as our Number "ONE" Lock fitting day time service. Maybe you would like some advice on a lock or other security matter, please feel free to telephone our office on 00208 800 6041 and a member of our team will be happy to help you.